It would not be fair to say that the Postup Mare is smaller sister of Dingač Bure. This Plavac Mali from the neighboring hills is certainly different, but equally powerful wine. 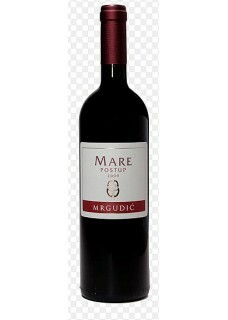 Niko Bura’s sister, Marija Mrgudić Mare, is included in the creation of both wines, but Postup, unlike Dingač is something smoother, more modern and dynamic expression of the Postup terroir, putting the Plavac on the world wine scene. Luxuriously rich and layered nose. Slightly smoky aroma with strong notes of rosemary and Mediterranean herbs. Ethereal and fruity. Although dry and extremely warm, it leaves a soft feel. Ubiquitous tannins which are dense, polished, mature and sweet. Warm, enticing and timeless. Give it the attention it deserves. Food pairing: With steaks and roasted fish, game, goose or duck in red wine sauces.